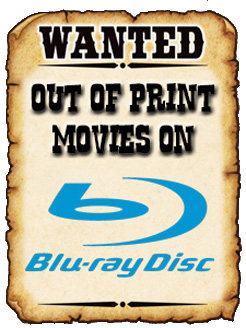 THE B-MOVIE NEWS VAULT: Scream Factory's ROBOT JOX: Final Blu-ray specs & extras! Scream Factory's ROBOT JOX: Final Blu-ray specs & extras! SCREAM FACTORY BRINGS BIG ROBOT BATTLES TO BLU-RAY ON JULY 7TH! ROBOT JOX has been a favorite of mine since my early childhood. It brings me great joy to see the original come to blu-ray disc this July, courtesy of Scream Factory! Especially considering that it's been out of print for some time! Movie Synopsis: In the distant future, mankind has forsaken global wars. The world has been divided into two opposing super powers, with each side represented by trained champions. Their weapons are huge robotic machines, capable of battle on land, sea and in the air. ROBOT JOX reveals a world where nations settle their territorial disputes by a single combat between two giant machines. Piloted by national heroes Achilles (Gary Graham) and Alexander (Paul Koslo), the robots meet in Death Valley to fight for the greatest prize of all: Alaska. But when Achilles' machine crushes 300 spectators, the match ends in a draw. Refusing to face Alexander in a rematch, Achilles is replaced by Athena (Anne-Marie Johnson), a genetically-engineered combat fighter. So when the GenJox is nearly killed and the game is forfeited, Achilles avenges their honor by challenging Alexander to a winner-take-all death match, in this heavy-metal, sci-fi adventure. Directed by Stuart Gordon, the film stars Gary Graham (TV’s ALIEN NATION), Anne-Marie Johnson (TV’s IN THE HEAT OF THE NIGHT, JAG), Paul Koslo (VOYAGE OF THE DAMNED), Robert Sampson (RE-ANIMATOR, THE DARK SIDE OF THE MOON), Danny Kamekona (HAWAII FIVE-O, THE KARATE KID PART II), Hilary Mason (DOLLS) and Michael Alldredge (SCARFACE) as Tex. Audio Commentary with Associate Effects Director Paul Gentry, Mechanical Effects Artist Mark Rappaport, and Stop-Motion Animator Paul Jessel Brand. Archival Interviews with Director Stuart Gordon, Pyrotechnic Supervisor Joe Viskocil, Associate Effects Director Paul Gentry, Stop-Motion Animator Paul Jessel and Animation & Effects Artists Chris Endicott and Mark McGee. 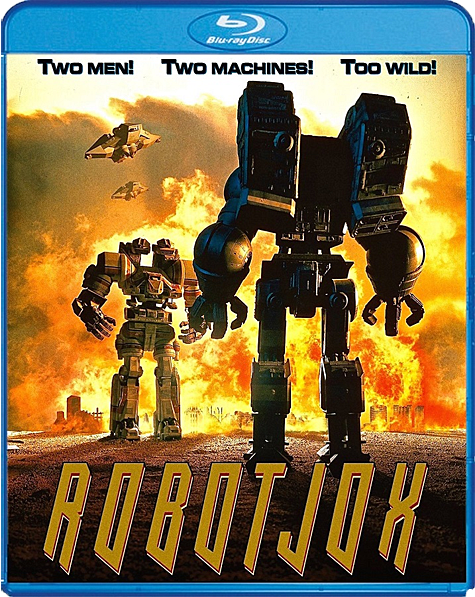 ROBOT JOX is a welcome blast from my past and I cannot wait to own it on Blu-ray! This will undoubtedly be the best the film has ever looked, and the wealth of extras makes it a "must own" in my book. 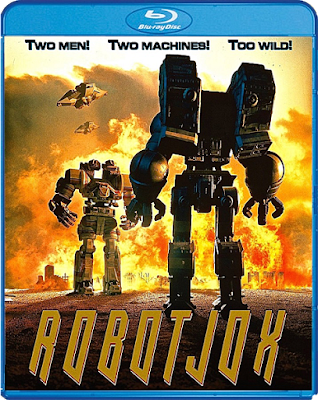 The disc is due out on July 7th, and you can currently pre-order ROBOT JOX from AMAZON.COM and DIABOLIK DVD. As is the case with many of their titles, if you order this disc directly from SCREAM FACTORY, you will receive it a full two weeks early! Now we just need Full Moon Entertainment to get on the ball and give us blu-ray releases for ROBOT WARS and CRASH & BURN!